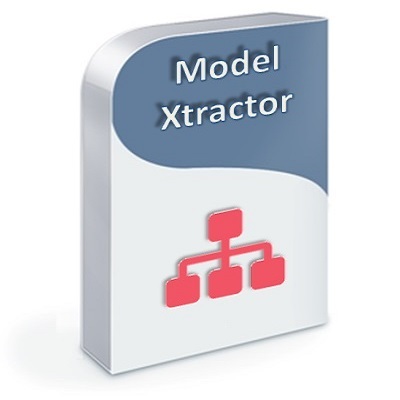 Model Xtractor (more screens here) is our free, powerful and flexible data modeling inspection tool, for most popular one-way reverse-engineered relational databases. Virtually enhance offline your data model with custom joins, chain relationships and name aliases, without actually changing anything on the database server. Conceptual many-to-many relationships, bypassing the hidden intersection tables. 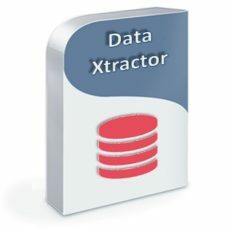 Auto-generated relationship items, to help you detect and expand relationships into connectors with simple drag and drop. 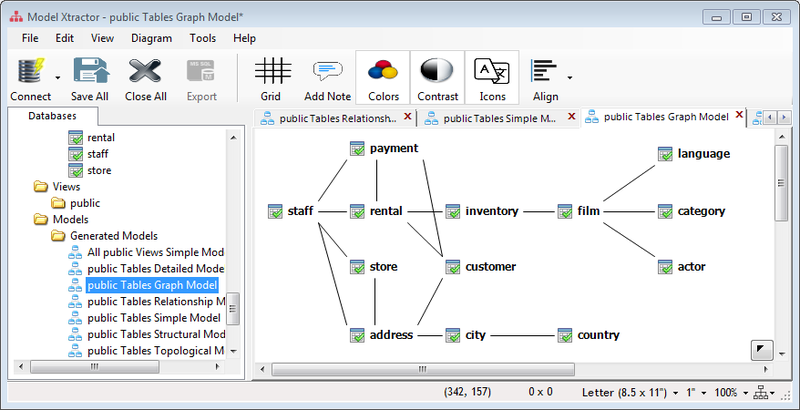 Auto-generated detailed, structural, relationship, simple, graph or topological models. Limited but powerful set of diagram options, for visually stunning effects. 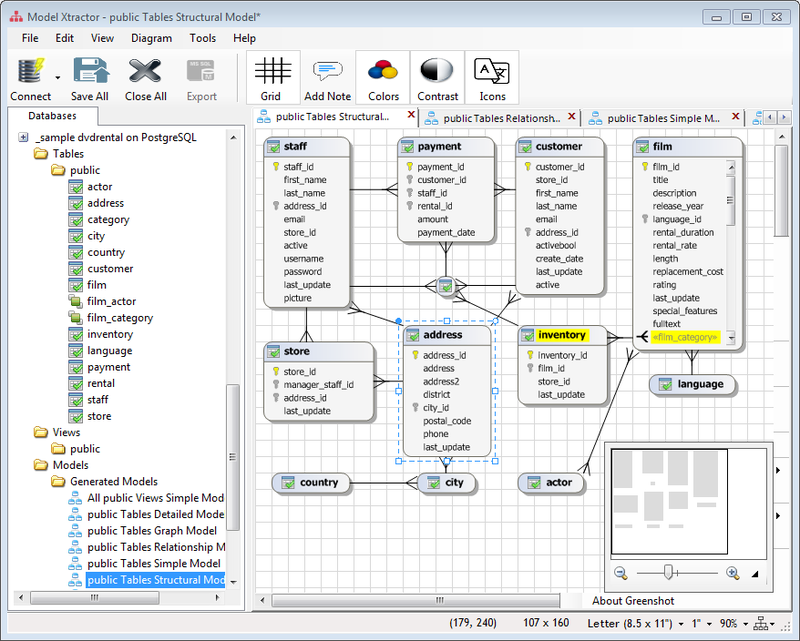 Save model as image or PDF. Expanded, collapsed, minified or transparent shapes. Frames to use as modules and group other shapes together. Shape and item aliases. Auto Layout and Auto Expand relationships. 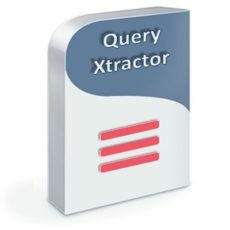 Mouse over an element to highlight all related elements.